CAPS United have lost highly-rated Nicholas Guyo to South Africa, but coach Lloyd Chitembwe believes his charges are well-positioned to launch an attack on the leaders in the race for the league championship. Guyo, who was on loan from Aces Youth Soccer Academy (AYSA), has moved to Ubuntu FC of Cape Town in the South African National First Division. Guyo, who joined Makepekepe on a one-year loan from the vibrant AYSA project, is one of the players who was registered by Chitembwe’s side as a player from their teenage group as per the PSL regulations. The impressive winger saw little game time at the 2016 league champions as Chitembwe constantly rotated his match day squad for the better part of the first half of the campaign. And, just when Chitembwe was beginning to see the true value of Guyo, having included him in his 18-man squad in the last five outings, Ubuntu swooped on the youngster. Makepekepe’s camp were also raided in 2010 when another player on loan from AYSA, Khama Billiat, was snatched by Ajax Cape Town before he could explode for the Green Machine. AYSA founder and director Nigel Munyati confirmed his player is now with Ubuntu, who are gunning for Premiership promotion next season. “Nicholas Guyo is now with the South African First National Division team Ubuntu FC where he is on a one-year loan,” said Munyati. “He joined the club last week from CAPS United where he was also on loan. “I hope he will play a pivotal role in helping that team achieve their goals,” said Munyati. The speedy winger has joined two other players from AYSA who are already in the books of Ubuntu, Collin Mujuru and Kuda Mangami. While Guyo is expected to shine at the Cape Town side, his former teammates at the Waterfalls-based academy, Abubakar Moffat and Martin Mapisa, have taken Spain by storm and Munyati’s office is now being flooded by inquiries from several teams who want them. The interested clubs include some in the Spanish La Liga. The duo, both aged 20, turn for CD Almunecar City in the Spanish fourth-tier league. Moffat has been a Dynamos target and with the Glamour Boys struggling in the top-flight at the moment, they are understood to have put in a formal request to AYSA. 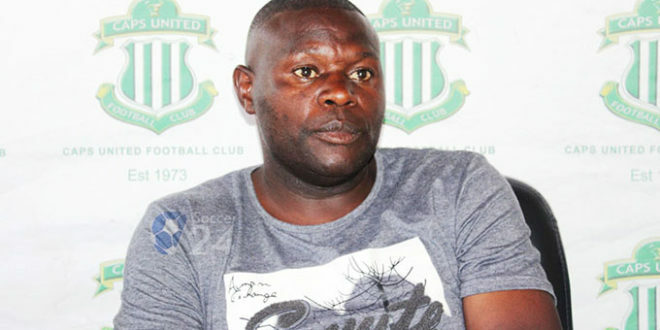 Munyati refused to discuss the issue, but hinted a couple of his players could be joining some top-tier teams during the mid-season transfer window. “It’s too early to start discussing about that but, indeed, two or three players from AYSA could be joining some Premiership clubs in the mid-season transfer period,” said Munyati. Previous Race for State House – Democracy or Too Many Cooks?